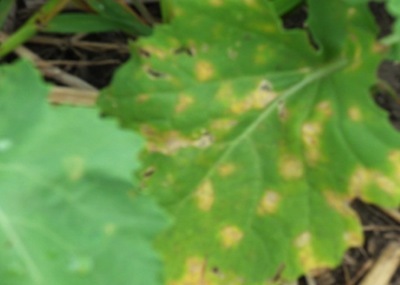 Diseases are usually easiest to see and diagnose at this stage of the season. 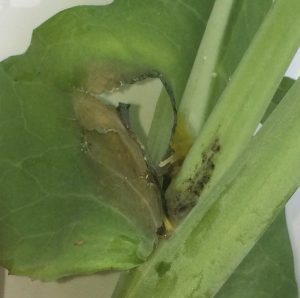 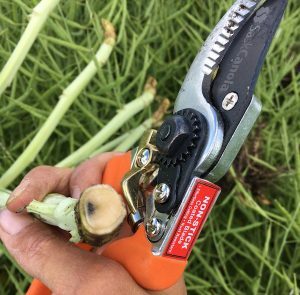 The photo shows blackleg in a clipped canola stem. 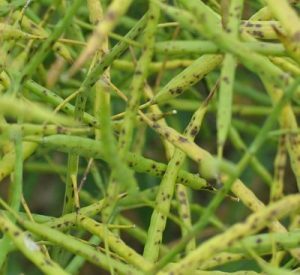 Patches of dying or prematurely-ripening plants are obvious areas to scout (and show up really well with drone images), but even clean-looking fields can provide some early warning if you take time to look. 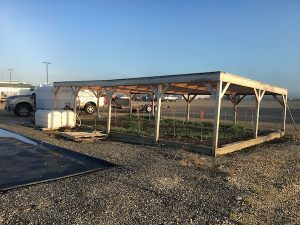 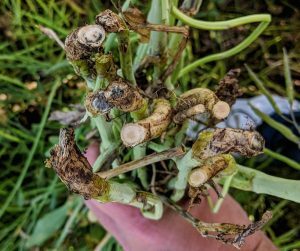 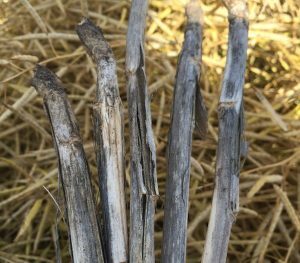 With blackleg, sclerotinia stem rot and clubroot, base the swath timing decision on healthy plants that will contribute to yield. 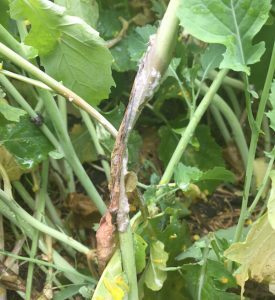 One exception where early swathing could provide an economic benefit is the case of severe alternaria black spot (shown).